Caroline is a Senior Lecturer with the School of Nursing and Midwifery. 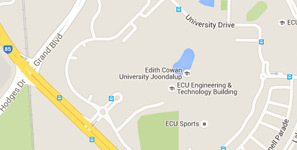 Doctor of Philosophy, Edith Cowan University, 2013. Certificate IV in Assessment & Workplace Training, Other WA higher ed institution, 2006. Certificate of Registration, Other WA higher ed institution, 2003. Degree of Master of Arts in Nursing Studies & Education, England, 2002. Bachelor of Science with Second Class Honours (Upper Div), England, 1996. Development of Simulation Resources, Department of Health WA, Simulated Learning Environments Research Grants 2016, 2016, $99,956. Assessing the “at risk” Elderly in an Independent Living Community Setting, Edith Cowan University, ECU Industry Collaboration Grant - 2015 (Round 1), 2015 - 2016, $176,110. Younger Onset Dementia: Younger Onset Dementia: An Education Package for Paid Carers, The Lovell Foundation, Trevor Mast Research Scholarship, 2016, $100,000. Vafeas, C., Hendricks, J., (2018), A heuristic study of UK nurse’s migration to WA: Living the dream downunder. Collegian: The Australian Journal of Nursing Practice, Scholarship and Research, 25(1), 89-95, Amsterdam, Netherlands, Elsevier BV, DOI: 10.1016/j.colegn.2017.04.001. Graf, A., Ewens, B., Vafeas, C., Delves, L., Hayward, C., Nannup, N., Baum, G., (2018), Closing the gap: A whole of school approach to Aboriginal and Torres Strait Islander inclusivity in higher education. Nurse Education in Practice, 30(May 2018), 86-90, DOI: 10.1016/j.nepr.2018.04.001. Vafeas, C., Jacob, E., Jacob, A., (2018), A younger onset dementia toolkit: Innovative practice. Dementia: the international journal of social research and practice, 1-9, DOI: 10.1177/1471301217738402. Vafeas, C., Graham, R., De Jong, G., Sharp, J., Ngune, I., Maes, S., (2017), Alcohol consumption patterns of older adults: A study in a regional town in Western Australia. Contemporary Nurse, 53(6), 647-657, Routledge, DOI: 10.1080/10376178.2017.1421051. Vafeas, C., Hendricks, J., (2017), Applying heuristic inquiry to nurse migration from the UK to Australia. Nurse Researcher, 24(3), 13-18, RCN Publishing Company Ltd, DOI: 10.7748/nr.2017.e1475. Ewens, B., Geale, S., Vafeas, C., Foxall, F., Loessl, B., Smyth, A., McCafferty, C., (2016), Humanising the curriculum: The role of a Virtual World. Journal of Nursing Education and Practice, 6(12), 80-88, DOI: 10.5430/jnep.v6n12p80.